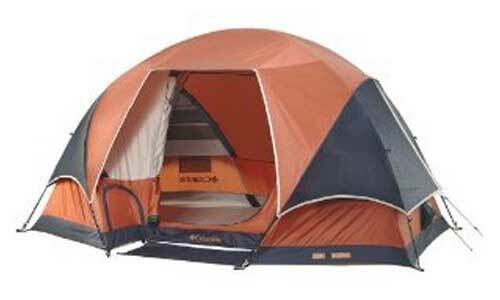 Tents like the Columbia Fall River 10 Person Instant Dome are great for family camping. The Fall River line is Columbia’s thickest material model, made from 150D polyester for extra waterproofing. 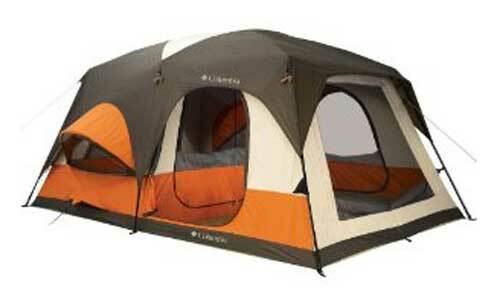 Columbia tents are supplied by the Columbia Sportswear Company, a name that has become synonymous with the outdoors. 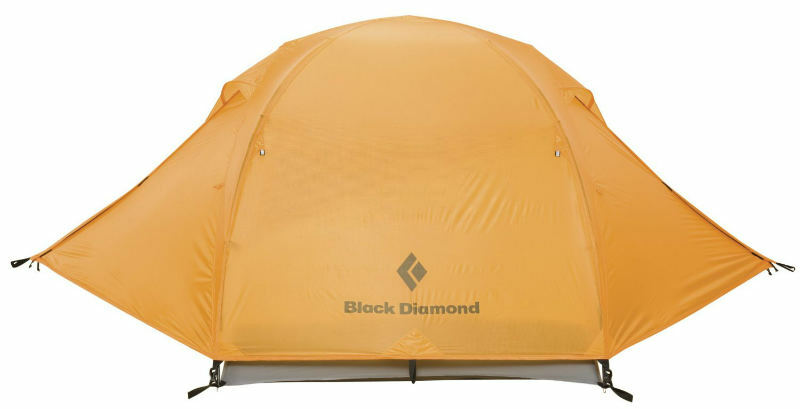 Many of the brand’s tent models can accommodate between 4 and 10 people, and are priced affordably in the mid-range. For these reasons, Columbia tents are well known for being ideal family camping tents, meeting at a happy medium of price and quality. In the table below you will find a summarizing list of some highly-rated models. 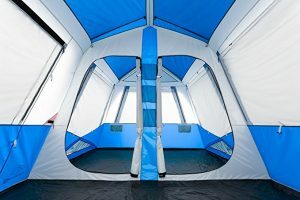 We’ve included vital information on each tent, such as the tent’s maximum capacity, square footage, peak height, and price, so you can quickly compare some of the top-rated available models against each other. We hope having these factors for comparison in one place will help you narrow in on your ideal tent! Hopefully the comparison table above was helpful for seeing some quick comparisons of key features of the various Columbia tent models. 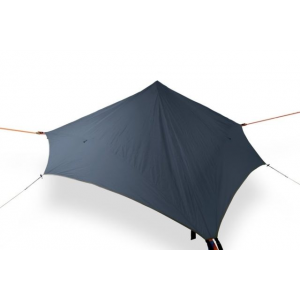 Below we’ll look at several popular Columbia tents in more details, including the Columbia Sportswear Fall River, the Columbia Sportswear Pinewood, the Columbia Cougar Flats, and the Columbia Bugaboo II tent. 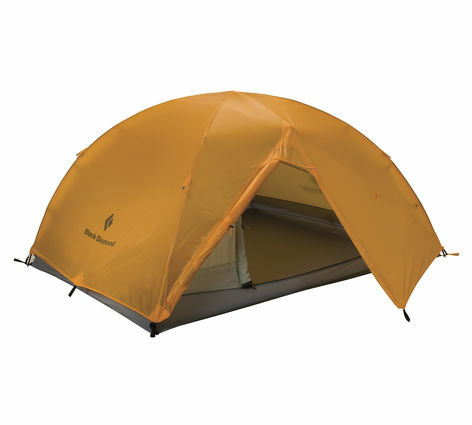 The Columbia Sportswear Fall River 10 Person Instant Dome tent is one of the most highly recommended and top-rated Columbia tents. 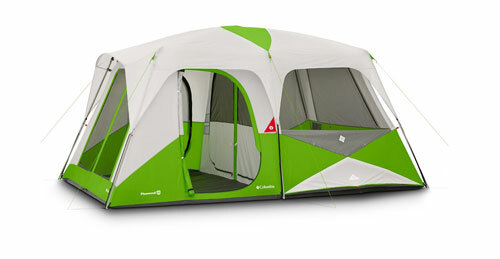 It’s at the top of the list for family camping tents and tents that can sleep 10 or more people. 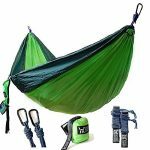 At 38 pounds of carry weight, it is a heavy tent, so is best for car camping (rather than having to carry it miles up a trail, for example), but is extremely easy to setup. 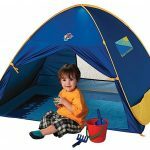 In fact, 1 person can set this tent up by themselves if they wanted to. The Columbia Fall River has a permanent divider in the center, making it ideal for family camping where the kids and adults can have their own separate space. Or, for longer camping trips with a smaller group, one room can be used for sleeping while the other is used for a lounge or living room. The roomy interior of the Columbia Fall River, with divider. The Columbia Fall River comes with a detachable awning, and customers have had a great experience with it from a waterproofing perspective. It also has ground vents to keep things cool and dry, and a utility port to allow for power cord access while not sacrificing the waterproof seal of the tent. 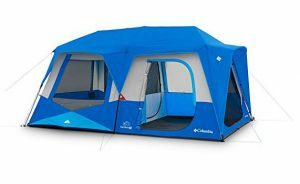 It is the priciest of the Columbia tent models, but is well worth it as a good buy, and if you have an Amazon Business account you may be able to find it for even cheaper than the normal retail price. The Columbia Fall River is also available in 4 person, 6 person, 8 person, and 10 person models, so it’s easy to choose this high-quality tent at the perfect size for your needs. 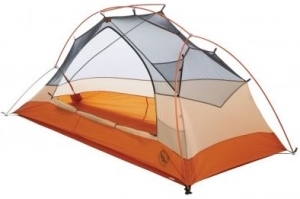 The Columbia Sportswear Pinewood Tent is another 10-person model, and is slightly cheaper than the Fall River. It has the same center height and floor area, the same style of divider and utility port, but comes in green instead of blue. But the main difference between the Pinewood and the Fall River is that the Pinewood is made from 68D polyester while the Fall River is made from 150D polyester, meaning the Pinewood is made from a thinner polyester. You can see this reflected in the carry weight, as the Pinewood is 2 pounds lighter overall. It’s a tradeoff, as the Pinewood is usually $50 or more cheaper than the Fall River. The Columbia Pinewood is also available in 3 person, 4 person, 6 person, and 8 person tent varieties, so simply choose the size that works best for you! The Cougar Flats is large enough to accommodate families of up to six or eight sleeping. The Cougar Flats Columbia tent has more than 150 square feet of usable space with two separated rooms, two doors, for convenience, that provides the advantage for privacy. The Cougar flats Columbia tent has fiberglass poles for the ceiling area, and metal side poles, that makes a solid frame to protect a family from the wind elements. Although the weakness of fiberglass poles is a disadvantage when choosing any tent because they break easier than aluminum, mainly in cold conditions. The GoBe Dry technology used for this Columbia tent provides extra rain protection that many consumers agree has been an advantage. 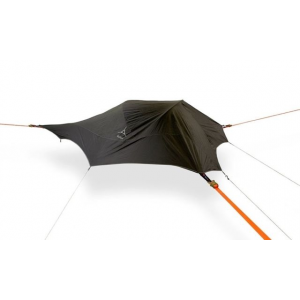 The fully seam taped polyester fly with an 800mm waterproof rated coating also prevents water and moisture seeping in. One of the major problems with family tent camping in the summer, is that it can get hot and stuffy when you are all in the same space, which increases the need for ventilation. This Columbia tent fixes that by offering zippered air vents, so that you can open them up and let air out when it gets to hot, but also close up when needed, if it starts to rain. The Columbia cougar flats tent also has color coordinated poles, so setting them up is a breeze, and can be set up in around thirty minutes. This is quite advantageous, because who wants to spend half the day in the hot sun trying to set up a tent? Or even worse with it raining. For the price range of family camping tents, the Columbia Cougar flats tent has been recommended by users as well worth the price tag of approximately $280.00, with a suggested retail price of $340. The Columbia Bugaboo is for a smaller family, of up to four or five people that has around 108 square feet, giving ample room for you, your family, as well as all of your gear. 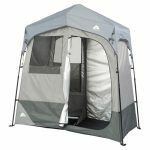 This Columbia tent has added storage space (vestibule), so you don’t have to have your muddy or dirty equipment or clothes in your living area. The Bugaboo and the Cougar Columbia tents, have a rain canopy fly, which attaches directly to the poles, keeping it away from the tent itself, that allows for sufficient air flow. The height of this Columbia tent is just over 6ft, that is high enough for most, although you will have to stoop slightly when entering the door, and if your over 6ft tall, inside. The fibreglass poles as mentioned with the Cougar Columbia tents are the cheapest poles that tent manufacturers provide, although for occasional recreational camping trips it should not a problem and costs always play a part in the types of materials used. This is what we would class as a cheap tent, which we never really rate, although a few get through the net like this one because it still can meet a persons camping needs on a budget. The Bugaboo II has a retail price of under two hundred dollars, and can be picked up for around $160. Considering the price range for this size tent and the features, its not a bad buy for those recreational campers that need a spacious tent without spending a lot of cash. 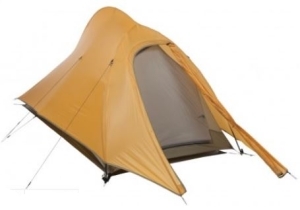 The Columbia high trail family dome tent sleeps six to eight people, with a room divider that turns the tent from one large room to two smaller rooms. As a result, you’ll enjoy plenty of elbow room while you sleep. Each side also has its own door so you don’t have to disturb the family when getting up for the toilet during the night. This tent also includes four large no-see-um mesh windows, roof vents, and side vents, to provide excellent ventilation. The Columbia high tail tent also has a polyester bathtub floor, which wraps up the sides of the tent for weather protection. Seams too close to the floor will be vulnerable to leaks, that the bathtub floor design avoids. The reason this tent is not sought after, the same as the Columbia Cougar flats tent, is because cabin style tents are more popular and suitable for a family camping. Room is more restricted and access in a dome tent compared to a cabin. Also, the materials are not as good quality, by losing the the GoBe dry technology the Cougar has. 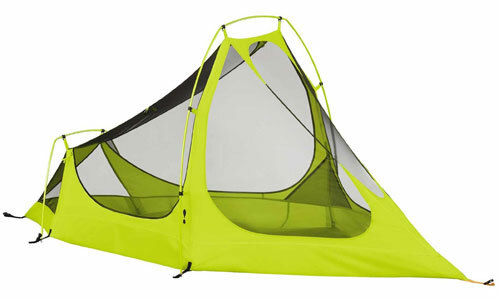 This tent is cheaper than the Cougar Columbia tent, priced at $240 retail, and online at the moment for approx $200. Its lighter at 28lbs 20z compared to the 56lbs 9oz of weight the Cougar has, although when car camping weight is not a big issue. For Columbia tents of this size it could prove a better investment for the extra $80 for the Columbia Cougar flats tent, alongside the outstanding consumer reviews it has received. We hope this page has clarified any questions you had about Columbia tents, although we advise when choosing a camping tent to fully research your options. 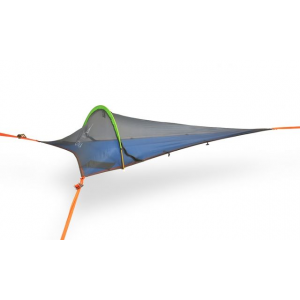 Columbia does not have their tents available from their website, so purchasing Columbia tents from Amazon is a good route to go.